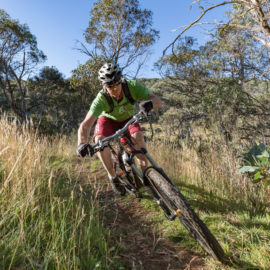 Rolling mountains, wildflowers, pristine air and magical snow gums surround the architecturally impressive village of Dinner Plain making it one of the most beautiful places to escape the summer heat and experience an alpine summers. 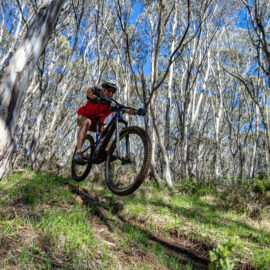 Take to Dinner Plains Pump track to test out your mountain biking skills. Set up in the green season. Take to the Dinner Plain tennis courts for a free hit. The courts have been refurbished, which now include a basketball court. Dinner Plain is host to Australia's highest Disc Golf course. 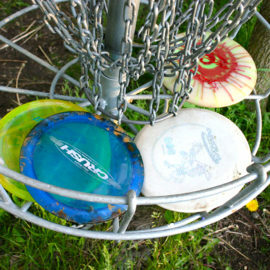 Just like golf, disc golf features nine tee offs and nine holes (baskets) and is an activity that visitors can use year round. It’s a free activity for all participants. Simply pick up a set of discs including a tee off, fairway driver and putter and onto the course you go! The goal is to get your disc into the basket in the least amount of shots. Phone 0439 161600 to pick up a set of discs.